The partnership between St. Alban’s Church in Cape Elizabeth and St. Luc’s in Trou du Nord, Haiti, was born in Feb. of 2007. Through the Episcopal Diocese of Haiti Partnership Program, St. Alban’s Church, joined St. Luke’s Wilton, ME, and entered into partnership with St. Luc’s Church and School in Trou du Nord Haiti. St. Luc's School and Church are located in an agricultural region of Northern Haiti about 45 minutes outside of Cap Haitien. The school currently serves students pre -K thru 7th grade. The need at the school is great. A substantial part of the building lacks a roof. There is no means of securing supplies. There is no playground, art room or gymnasium. There is no cafeteria. There is no lunch. Partnership provides the opportunity to deepen relationships and come to a more complete understanding of needs, to share resources and experiences, as well as hopes, prayers and dreams. Currently St. Alban’s and St. Luke’s are raising funds to: assist St. Luc's with completion of the current school structure (making it possible to provide for a lunch program among other things), obtain school supplies, assist with student tuitions, and assist with teacher salaries). They feel strongly that education is key to development and an opportunity every child should have. The children of St. Luc's are so grateful for any support. If you would like to make a contribution to the Haiti Fund you can do so by writing a check to St. Alban’s Church and putting “Haiti Fund” in the memo. You may also make an on-line contribution by visiting their secure ParishPay site. If you are interested in learning more or being involved feel free to contact Sara Merrill pmerrill@maine.rr.com or Sue Raftice sraftice@maine.rr.com. Since Feb. of 2007, St. Alban’s has sent significant funds to support teachers’ salaries and student tuitions. In the fall of 2007, Thy Well Be Done Project was completed and a well was built providing clean drinking water to the children at St. Luc’s and the community. School supplies have been sent to St. Luc’s via a Konbit Sante container every year. Funds were sent enabling St. Luc’s Church to purchase a keyboard so that music is now available at their services. Mostly recently, the Sunday School children of St. Albans raised $5000 for construction of and securing of three rooms for food and supply storage. They are currently awaiting news on a grant proposal to the UTO to complete the school structure. 1.Continued support student tuitions ($50/year) and of teachers’/staff salaries. 2.Establish a feeding program. Pere Louis has put in an application to PAM (or WFP, the World Food Program) and we are seeing what we can do to push this along. 3.Complete the roof over the second story and put in a railing on the second floor hallways, etc. This will be a big undertaking but very much needed. All parties, Pere Louis, Cledor, the principal, and the teachers see this as critical to the school’s future. Not only will it prevent the school from deteriorating, but it will lead to the eventual establishment of a technical or trade school there which would provide income to the school as well as skilled laborers. 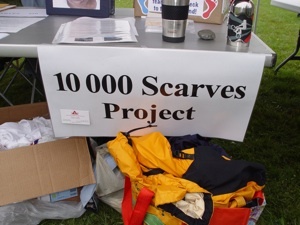 St. Alban’s has applied to the UTO for a grant which along with funds from St. Alban’s would accomplish this project. We hope to hear in May 2010 with regards to the grant. 4.Building a bathroom. Research SOIL a composting toilet organization working in Haiti that we were introduced to during our visit. 5.Continue to develop a relationship with Enoch Firmin for help in translation and facilitating communication with Pere Louis around construction projects while helping to give us a better cultural understanding. Enoch is a wonderful gentleman we were blessed to meet. He is spiritual and is committed to progress in Haiti. 6.Trip to Haiti in Jan. 2010, sadly due the devastating earthquake in Haiti in January, had to be postponed and is likely to happen in Jan. 2011. People often ask what did you do in Haiti? What did you build? They expect an answer such as; we built a well, we built a school. But what we are really trying to do is build a relationship and help to empower the Haitian people. “…My senses were overloaded with unfamiliar sights, sounds and smells. There were people everywhere. The old, door less buildings were crumbling, and the unpaved streets were peppered with small fires, rusty cars, tap-taps, bicycles, goats, dogs, donkeys, vendors, and piles of debris. St. Albans welcomes any involvement or ideas. If you are interested in learning more or being involved feel free to contact Sara Merrill pmerrill@maine.rr.com or Sue Raftice sraftice@maine.rr.com. If you would like to make a contribution to the Haiti Fund you can do so by writing a check to St. Alban’s Church and putting “Haiti Fund” in the memo line. You may also make an online contribution by visiting our secure ParishPay site. I recommend for the Maine Friends of Haiti representative of contributions and works done for Haiti: Sara Merrill and Sue Raftice, of St. Alban’s Church. The two women have been a guiding light in a partnership with Haiti for nearly four years--long before the earthquake struck, when fewer people were tuned in to the conditions and needs of the Haitian people. 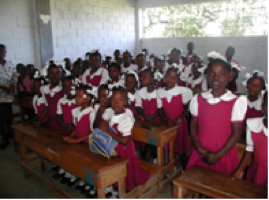 Through the Episcopal Diocese Haiti Partnership Program, Sara and Sue set out to build a relationship with students and teachers of St. Luc’s in Trou du Nord, a rural town in Northern Haiti. The school serves roughly 300 students, grades K-7. 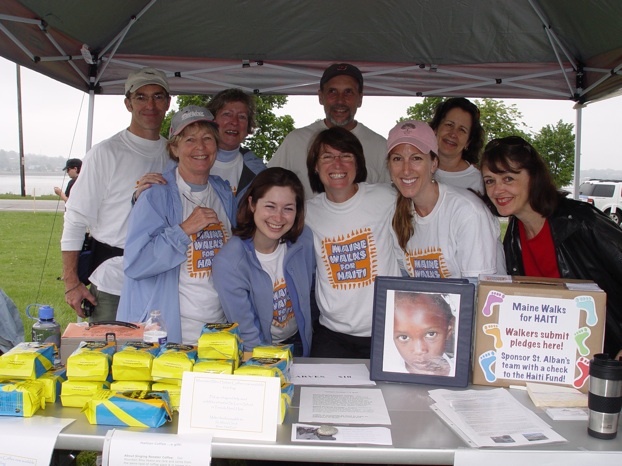 Sara and Sue traveled to Haiti twice and Sara was scheduled to return when the earthquake struck Port au Prince. During their visits to St. Luc’s, the women sought a deeper understanding of the Haitian culture so they could better support their needs and their hopes. 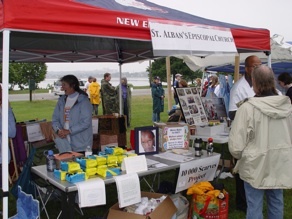 The primary goal was to connect the school in Haiti with the community of St. Alban’s Church, Cape Elizabeth, so that parishioners would have the opportunity to be involved. Several other organizations and groups have asked to learn more. Photos and moving DVDs of their visits are used to share their experiences and encourage others to help improve conditions. 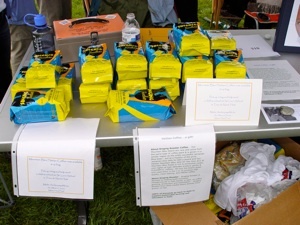 Through various fundraisers, significant contributions have been sent to the school. Providing assistance with teachers’ salaries and tuitions is an ongoing effort. The St. Alban's congregation raised money to build a well which supplies clean drinking water for the school and well as the community. Every year, school supplies are collected and sent to the children who would otherwise go without. Last year, the St. Alban’s Sunday school classes and youth groups raised money to “finish” three rooms of the school (doors, windows and locks). 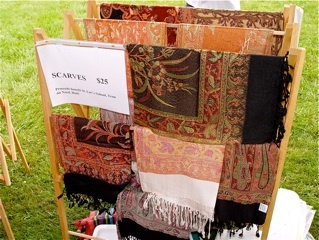 Just recently, St. Alban’s Haiti Committee applied for, and won a substantial grant. The $75,000 award is an unusually high amount and speaks to the integrity of the work that is being done at St. Luc’s. The project, “Raise the Roof,” will literally put a roof over a portion of the school. Other improvements and necessary repairs will be made to the building so the students and staff can continue to learn and teach in a safe environment. Sara and Sue are grateful for the progress and are now looking forward to helping St. Luc’s establish a feeding program at the school so the students can count on one simple meal. Sara and Sue have been the organizers of much that has been done for that community via St. Albans Church (and now the wider Cape Elizabeth and South Portland/Scarborough Maine Community). Sara, a physical therapist, lives in Cape Elizabeth with her husband and son. Sue lives in South Portland and has three daughters.